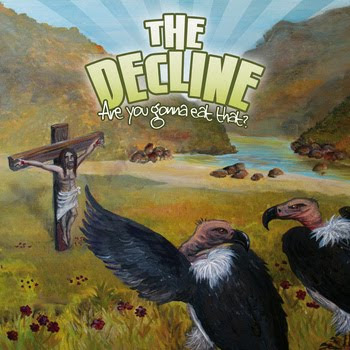 Perth melodic punk quartet The Decline are all set to launch their latest album "Are You Gonna Eat That?" which follows its predecessor with their signature punk sound and social awareness, delving deeper into the evolution of relationships and the life of a touring band. Drawing their influences from such bands as Frenzal Rhomb, Lagwagon, Less Than Jake and many more of the 90s skate punk bands, "Are You Gonna Eat That?" is another melodic punk gem from The Decline.